What is a Winter CSA? Russell Farms Winter CSA is a 12 week (6 pickups) biweekly program where we supply you with a share of local fruits, veggies, and specialty items every other week during the winter. Are you a working mom concerned where your kids food is coming from? Are you just sick of the under par grocery store produce quality during the winer? Are you looking for a way to get a healthy kick started for the New Year? Maybe you just want to try something new while supporting a local business. 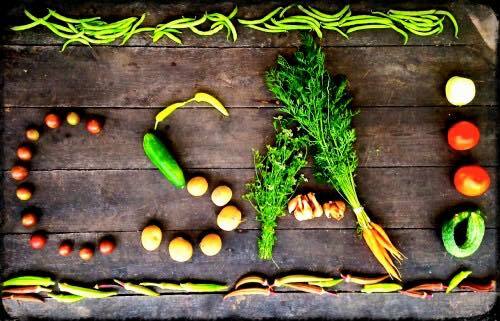 No mater what the situation, a CSA is a fun connveinent way to keep local items in your diet throughout the winter. It’s winter, so you are probably asking yourself what local items are even available? 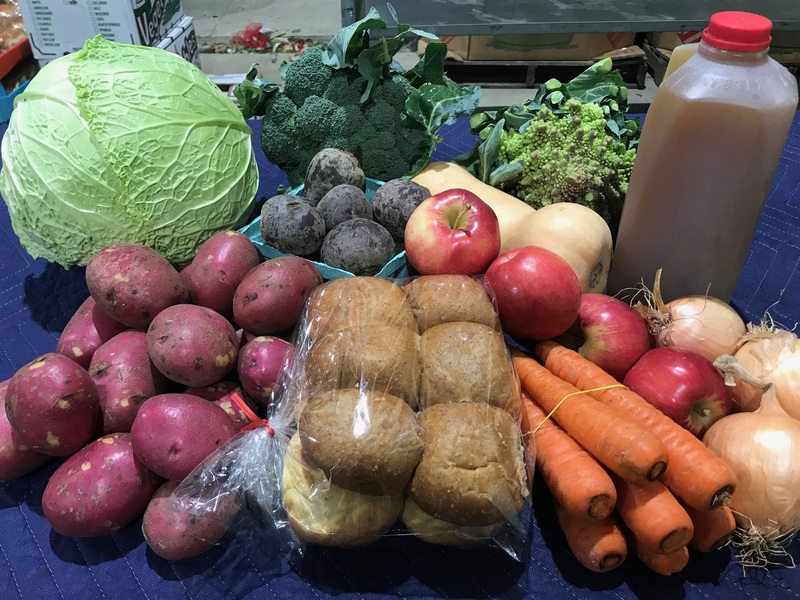 Winter CSA produce includes things like, apples, potatoes, onions, carrots, beets, yams, cabbage, winter squash, turnips and parsnips are all our winter storage items. This means that they were harvested in late fall/early winter and are kept in cold storage to hold their quality. We also offer fresh pressed Russell Farms Cider, we press this year round. Each week you will also find what we like to call specialty items in your shares they can include, trail mixes, baked good, both of which are prepared in our scratch bakery in Montrose. Items like farm eggs, local cheese, oats and grains, flours, flax seeds, spices, honey, syrups, jams, jellies, apple sauce, floral bouquets and more can also be included! Each pickups members will receive a special email with the share contents for the week along with recipes and some background for the contents. 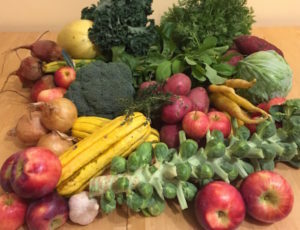 When Does the Winter CSA Start and Where do I Pickup My Share? 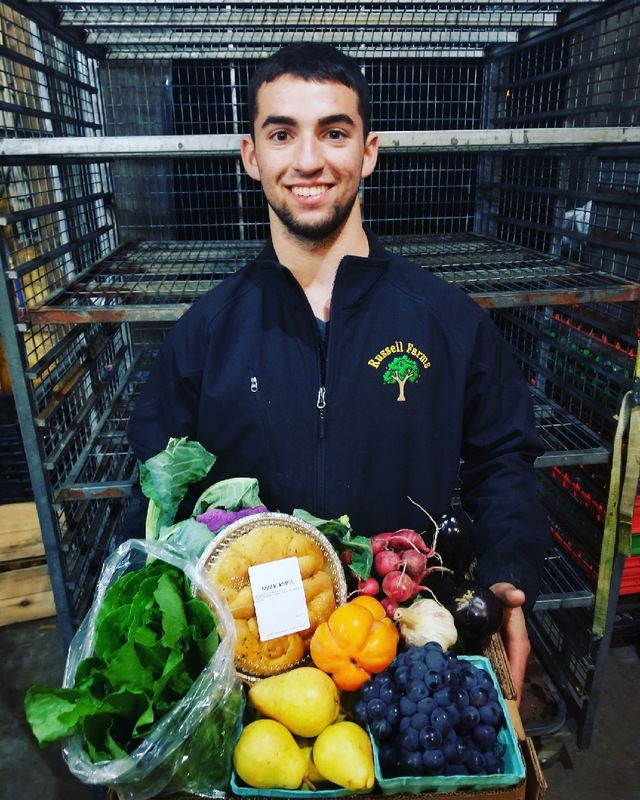 Montrose Produce – Located on Grow Ave Montrose. This is our retail store. What Share Size do I choose?